It doesn't matter what garage doors you own! You will still answer your questions right here. Why the garage door won't open/close evenly? The most usual reason why garage doors do not open and close evenly on both sides is because there is something wrong with the extension garage door springs. 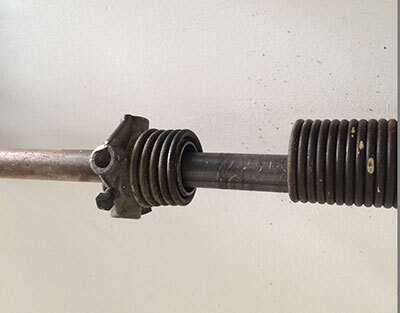 The specialists of our business in Brockton suggest checking both extension springs. One of them might need adjustment, repairs or even replacement. Replace both for better equilibrium. Why multicode remotes are convenient? A multicode remote will be convenient to people, who have more than one opener to control. For example, if you have an electric gate, getting multicode clickers is an excellent idea because it will save you the trouble of keeping your mind at two remotes. Multicodes can also arm and disarm car and house security systems. How do I choose tracks? First of all, it will depend whether you have a sliding or overhead door. It will also depend on whether you have a standard, high or vertical garage door system. Garage Door Repair Brockton reminds you that you must also check whether you need horizontal, curved or vertical garage door tracks and of what width and length. Should I invest in insulated garage doors? Investing in insulated garage doors is wise. Some people consider the extra cost unnecessary and go for plain doors but they pay the difference in double to energy bills. Insulated garage doors are not necessarily thicker, so you might not need to replace springs and openers but they'll surely provide energy efficiency for the whole house. Is an aluminum garage door worth the price? In the long run, utilizing an aluminum frame for your garage doors is indeed cost-efficient. Garage door experts over at Brockton agree that the use of aluminum frames for your garage door is worth the expense due to the fact that it will need very little maintenance from then on. While installing photo eye sensors, how far should the device be placed from the floor? Ideally, photo eye sensors should be installed two inches above the garage floor. This is to ensure that the infrared light will never miss small obstructions while you are closing the garage door and not able to notice them. When aluminum is exposed to the atmosphere, a thin layer known as aluminum oxide is formed on its surface and helps it resist moisture. This way, it doesn't rust. It protects the material as opposed to steel which will be affected by water and air and will rust. Why does my door keep reversing? 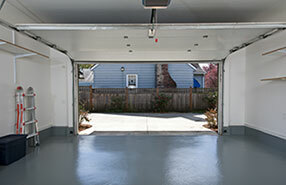 Garage doors keep reversing when there are problems with the reverse mechanism. In this case, you will find the assistance of our experts in Brockton valuable. It could also be a simple problem like a tiny object on the floor which is seen by the beams. 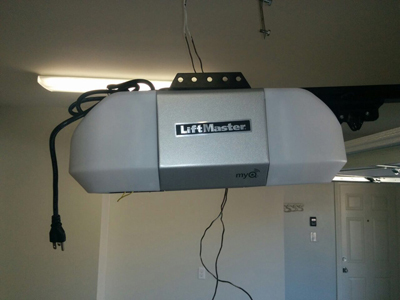 What is the speed of a new garage door opener? The closing speed is fixed for safety reasons. The opening speed can be as high as 8, 10, and sometimes even 12 inches per second. New faster models are regularly introduced. Just keep in mind that it will depend on the weight of the door as well as on the capabilities of the opener.